Unlike full height shutters, cafe style shutters are designed to cover only the lower half of your window, filtering natural light into your home while never blocking it out. 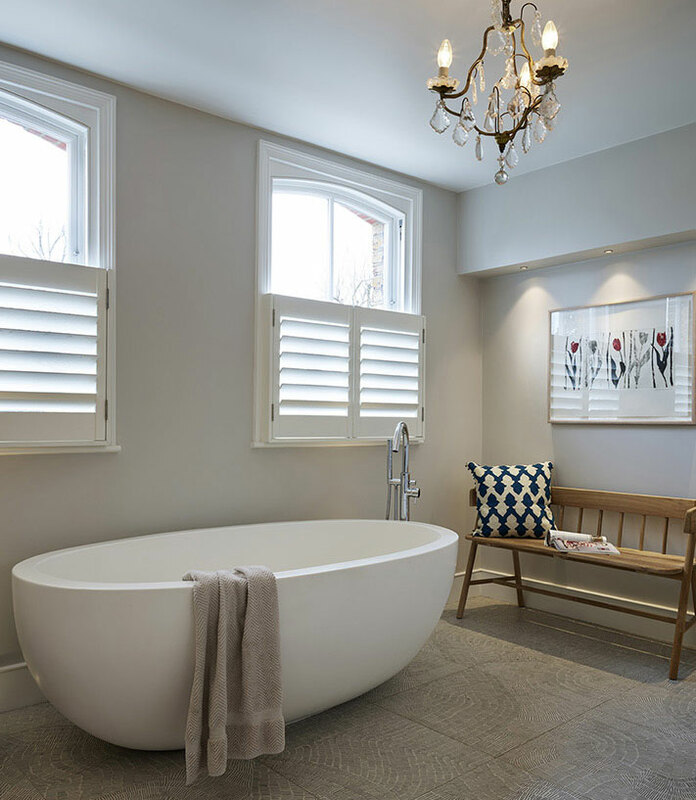 A versatile choice, cafe style shutters are ideal for rooms which you would like to keep well-lit yet private. Whether you have a period or modern property, cafe style shutters add a touch of sophisticated style to your home. 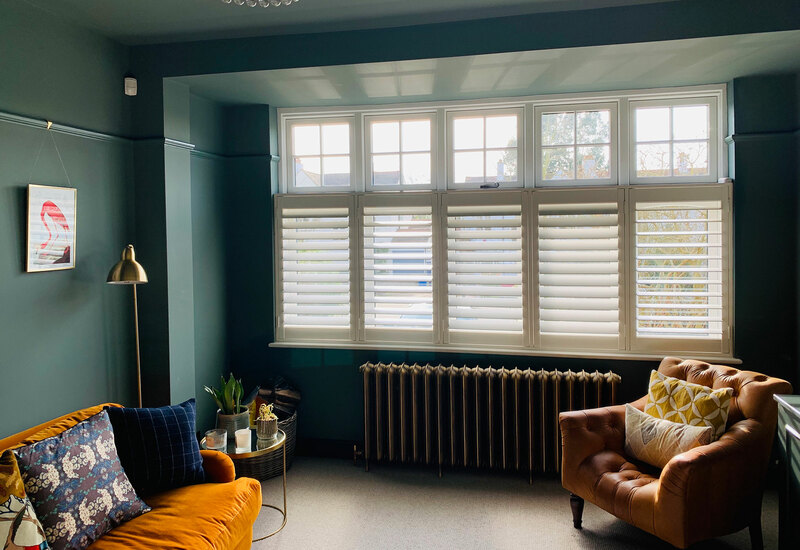 Available in wood or vinyl in all colours and slat sizes, with either a side-mount tilt bar or discreet clear view mechanism, our cafe style shutters fit perfectly with any traditional or contemporary interior. With cafe style shutters you can rotate the slates to increase the light further. Cafe style shutters are the ideal window solution for anybody who wants to prevent passersby from peering into living spaces while letting in plenty of light. All cafe style shutters from Totally Shutters are made to measure and come with a 5-year guarantee. And our free, no obligation in-house survey makes choosing the perfect shutter blinds for your home a piece of cake. We come to your home armed with samples for inspiration, our wealth and knowledge. 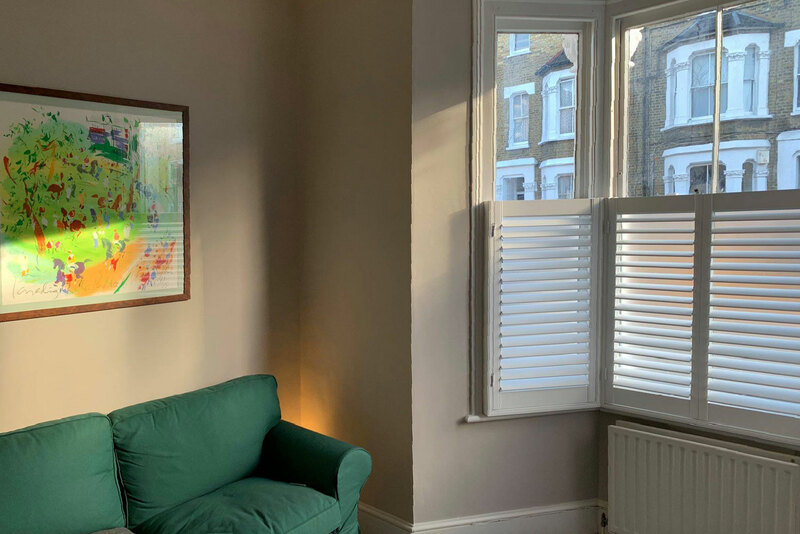 We will discuss the various shutter options available to suit your requirements, before taking the exact measurements of your windows to ensure your shutters will fit perfectly. Once your shutters are made, we will arrange a date to install. With years of experience fitting shutter blinds around the UK, you can sit back safe in the knowledge they’ll be right the first time. For your free, no-obligation quote, please call us on 0203 960 69 63 or email us at sales@totallyshutters.co.uk and we’ll get back to you in the next 24hours.